Thanksgiving is one of my favorite holidays because it’s all about food, family and giving thanks… perhaps in that order, perhaps not! My parents have become masters of the Thanksgiving turkey – in fact, many years they serve two smaller birds instead of one giant one. (Since they have two ovens, they can accomplish this feat with relative ease). The variations that they come up with for the flavors is amazing. Hands down, the last few years their turkeys have been the most moist and flavorful that I’ve ever tasted. The secret? A brine. Don’t be put off by what seems like a lot of steps – trust me, it’s so worth it! 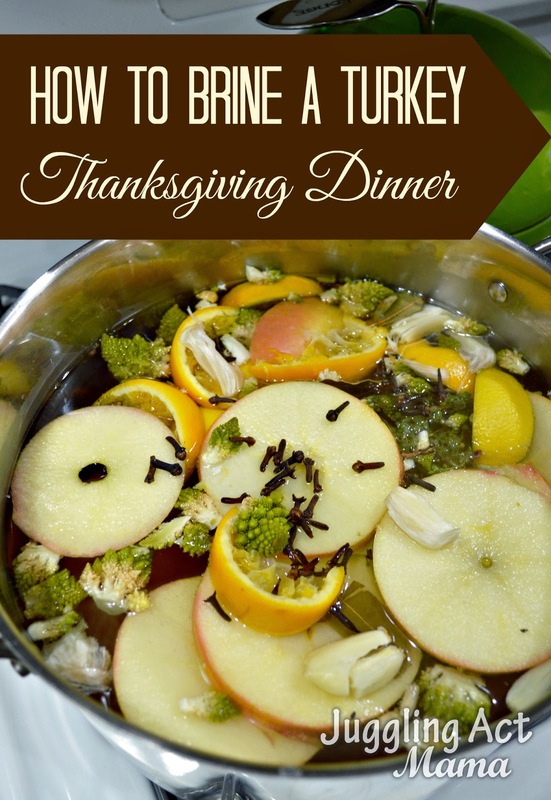 The brine helps the turkey to retain moisture and infuses great big flavor into the meat. You’ll be so glad you did, and your guests will be singing your praises! In a large stock pot over medium-high heat, combine the stock, salt, brown sugar, peppercorns, allspice, cloves, and orange. Bring to a boil, stirring occasionally so that the sugar and salt dissolve. Remove the brine from the heat and add in the garlic, broccoflower, apple and pear. Cool to room temperature. Remove the innards from the turkey, rinse and place breast side down in a 5-gallon bucket. Add the brine and ice water to cover the turkey. Cover and refrigerate from 8-16 hours. (You can also put it outdoors if you live in the Northeast like us – just be sure to put something heavy on the lid so no critters can get at your turkey! About half way through, turn the turkey and stir the brine a bit. Once you’re ready to cook the turkey, line a large baking sheet with paper towels. Remove the turkey from the brine, and rinse it inside and out with cold water. Set the turkey on the baking sheet and pat dry. Discard the brine. 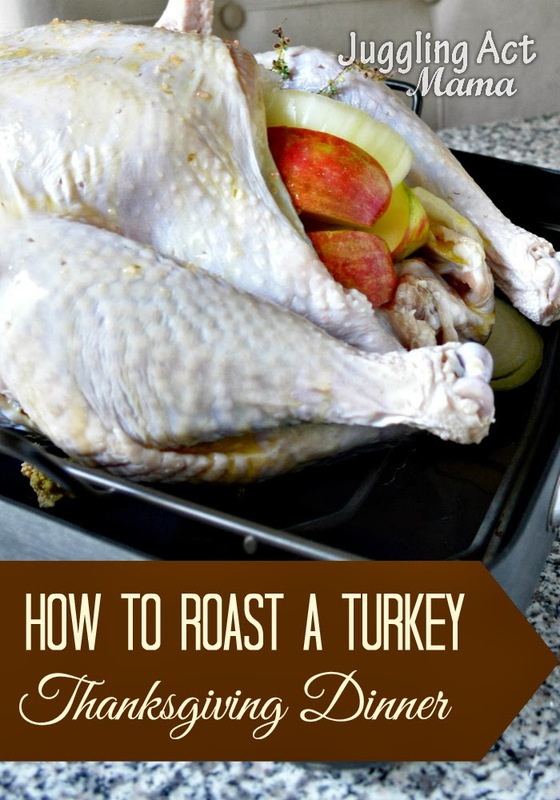 Preheat the oven to 500-degrees while you prepare the turkey to roast. Remove the top racks if needed before the oven is hot. Move the turkey to a roasting pan. In a large measuring cup, combine the water, apple, pear onion, and orange. Microwave for 5 minutes on high to steep the aromatics. Taking care not to burn yourself, add the mixture to the cavity along with the fresh thyme. Be sure to alternate so you’ll have variation in flavor. Now tuck the wings under the bird and rub the canola oil all over the skin. Sprinkle with sea salt. Slide the turkey into the oven on the lowest rack. Cook for 30 minutes, then reduce the heat to 350-degrees. Cooking time will depend on the size of your turkey, ours 14+ pound turkey took about 1 hour and 45 minutes. Check for your cooking time http://www.foodsafety.gov/keep/charts/turkeyroastingchart.html. Dark meat lovers typically enjoy that meat cooked to 170 degrees where as white meat should be cooked to 165 degrees. Remember that your turkey will continue cooking a bit when you remove it from the oven. You can check the temperature using a meat thermometer - be sure to stick it in the thickest part of the meat, and not next to a bone. If your turkey is browning too much on top, slide a piece of tinfoil over the top. Remove the turkey from the oven and let the turkey rest, covered with tinfoil, for 15 minutes before carving. 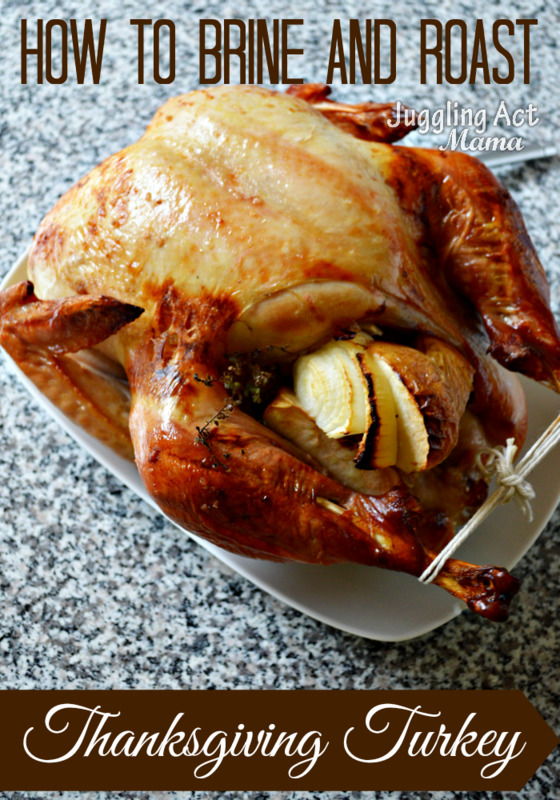 As always with raw meat, you want to follow http://www.foodsafety.gov/blog/thanksgiving_cook.html guidelines for proper handling and food safety. 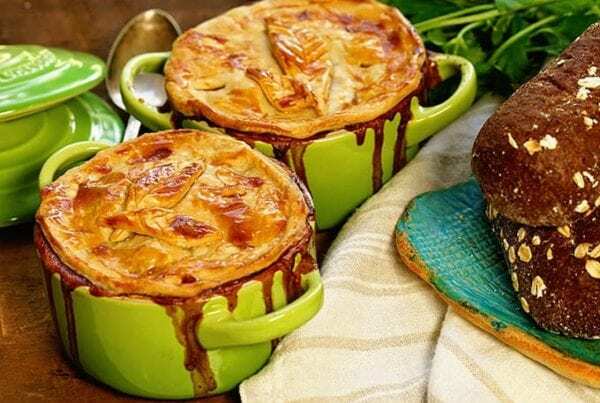 Transform those leftovers by making our tasty Turkey Pot Pies for a comfort food classic that the whole family will love! 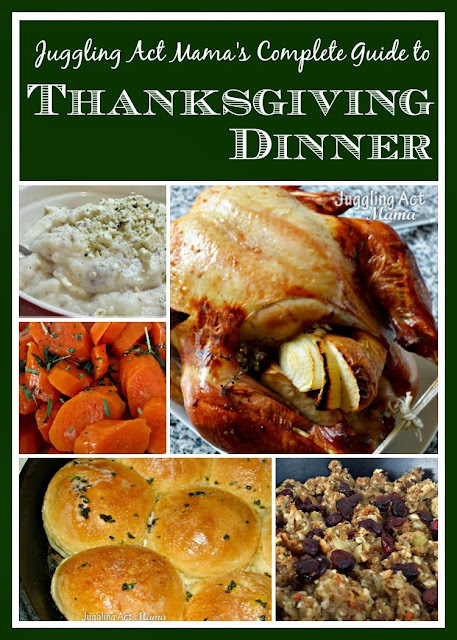 You can even make these up and freeze them for later in the holiday season when you need a yummy dinner and are short on time! Easy and delicious for a weeknight meal or fancy enough for company! This sounds really great. I think I will give it a try. I’m not a huge turkey fan. Maybe this will change my mind.